On August 16, 1977, I was like any other ten-year-old growing up in Memphis, Tennessee. I was busy enjoying the last few sunny days of summer vacation with my Grandmother “Mimi” watching over me, as she often did. This particular day, we had just settled in to our favorite afternoon soap opera when the telephone rang. Baptist Hospital was calling Mimi, a private branch exchange operator there, into work after they had received word that Elvis Presley had been found unresponsive in his home, Graceland. He was en route to Baptist Hospital via ambulance. Officials knew that there would be excessive press and fan inquiries, and the hospital needed all hands on deck. Mimi and I turned off the TV and headed for the hospital together. Just about everyone knows the tragic end to this story. 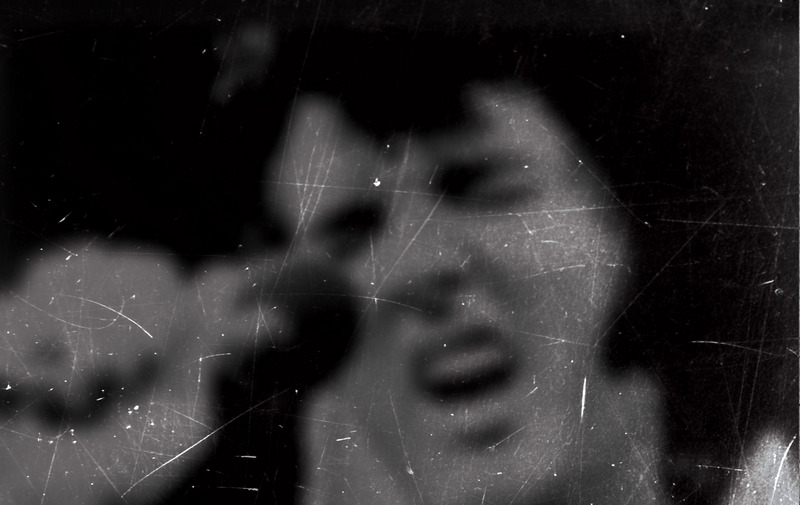 Elvis was pronounced dead that August afternoon. 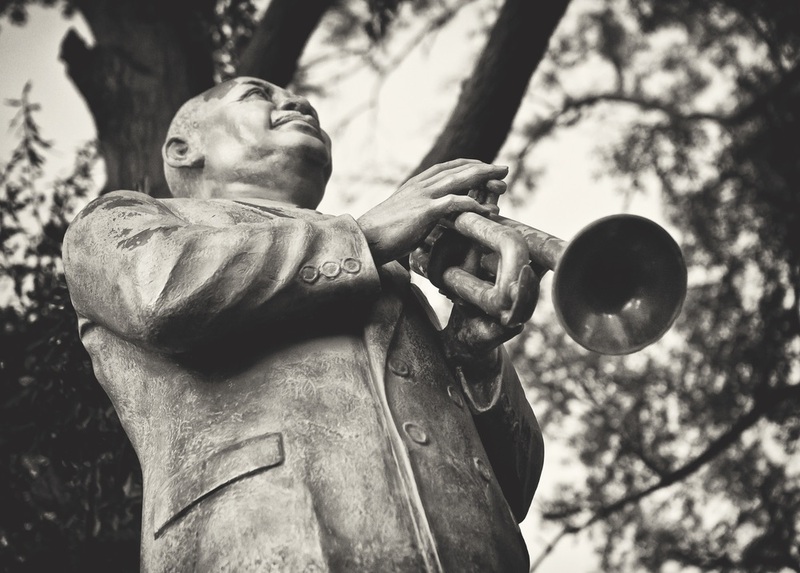 His short life was over at age 42, but his musical legacy had only just begun. Like many ten-year-olds, I had no idea of the fame Elvis had experienced in the musical world outside of Memphis. But I discovered quickly the profound effect he had had on people across the country. 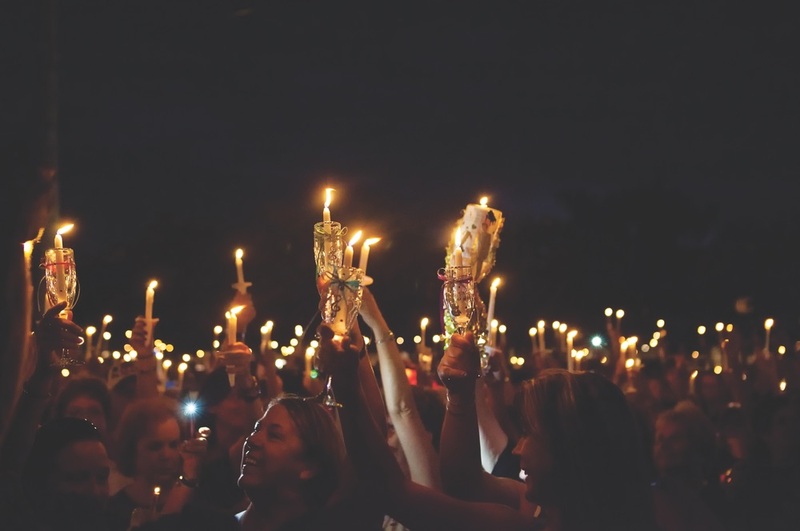 I watched in amazement and sadness as tens of thousands of people filled the streets in front of Graceland Mansion for a memorial service that started that day and has continued every year for thirty-four years. That one-day vigil has since grown into an annual ten-day celebration of all things Elvis, attended by people from all over the world. This August I was offered a unique opportunity to go home to Memphis and photograph Elvis Week, as it has come to be known. I decided this would be a wonderful opportunity to pay tribute not only to Elvis but also to all the other incredible musical talent that has come out of Memphis over the years. I felt that it was important to capture some of the “old” Memphis music heritage in photographs before it is all gone. It’s been said many times before that Memphis has torn down more history than most cities have ever had. Knowing this to be true, I felt somewhat driven to return home and document some of the things I love the most about my hometown. I arrived several days before the Elvis festivities and set out with camera in hand. 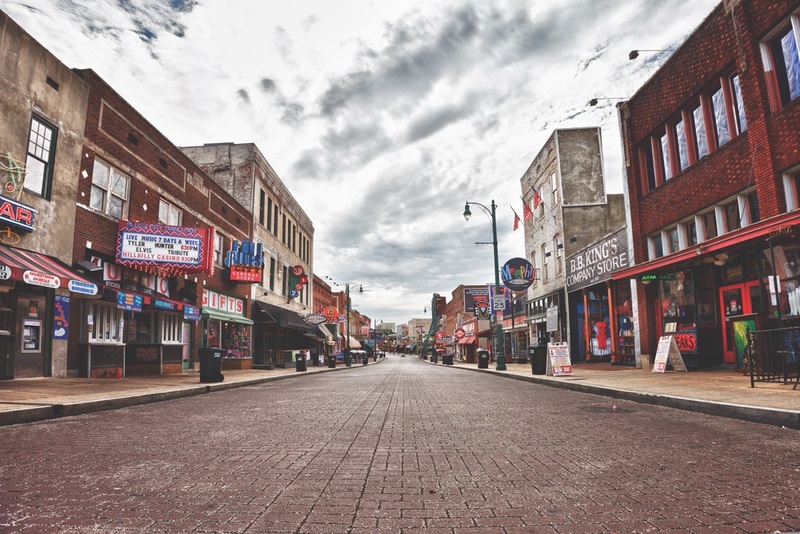 My first day there, I roamed up and down Beale Street at dawn. As I walked, I remembered coming here as a child, hearing the blues drifting out of every doorway and loving every minute of it. I wanted to know all about the people who made that amazing music. I spent many childhood days in the record store or the library listening to and studying artists like B.B. King, Rufus Thomas, Bobby “Blue” Bland, and so many others. As I grew older, I would have the honor of seeing so many of those blues greats playing the clubs on Beale. I came back later that evening and was comforted to see throngs of people roaming up and down the street enjoying the incredible live music that you can still hear there every night. My next stop was the old Sun Studio on Union Avenue. 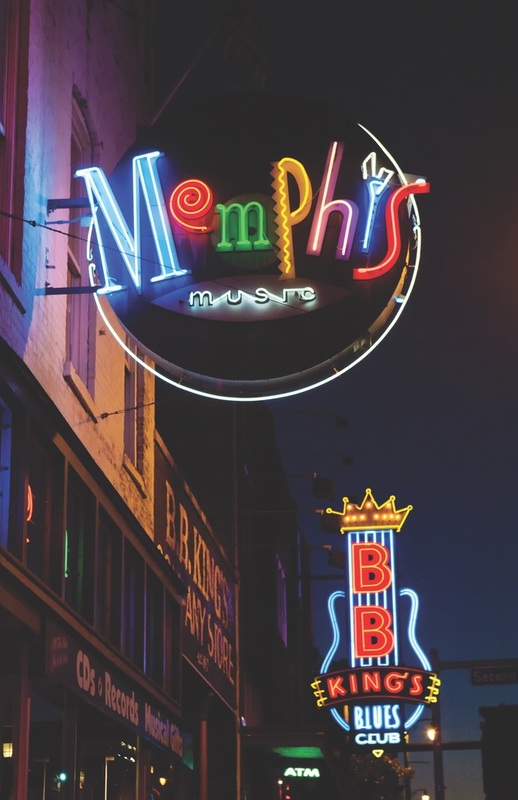 Originally called Memphis Recording Service, it was opened in 1950 by Sam Phillips. 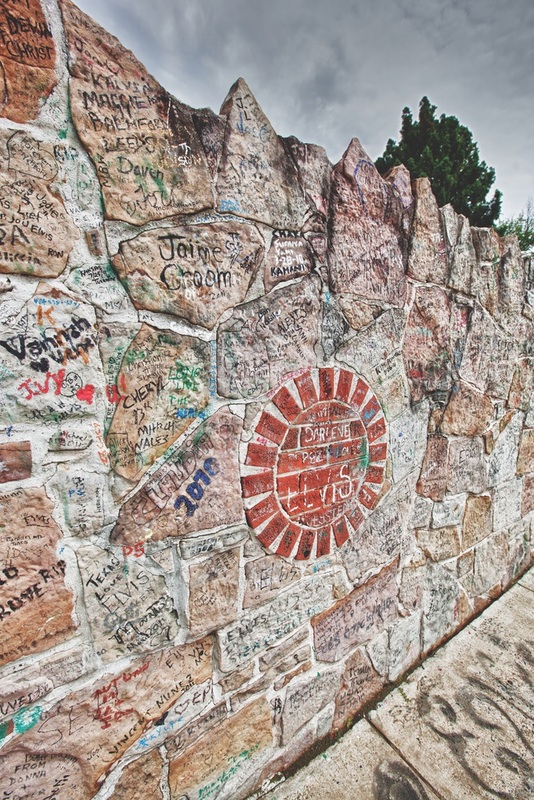 The history of this landmark reads like a Who’s Who of the Rock and Roll Hall of Fame. Elvis Presley, Johnny Cash, Jerry Lee Lewis, Carl Perkins, B.B. King, and Roy Orbison are just a few of the musicians who put Sun Studio on the map. The original space is now a museum; the recording area is very small but the musical connection that you feel just walking in the door is as strong as if Johnny Cash were still strumming his guitar there. 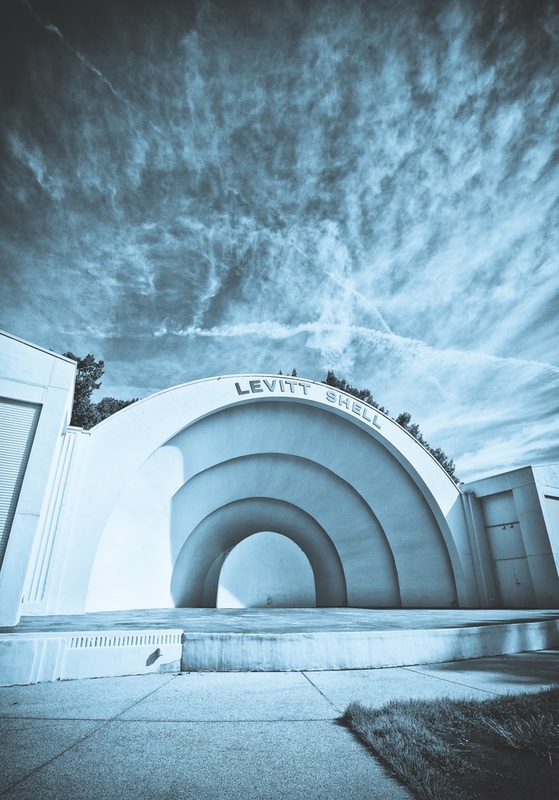 From Sun Studio, I headed to Overton Park to see the Levitt Shell. For many years it was known as the Overton Park Shell, but on July 30, 1954, it was where Elvis Presley played his first paid concert. Many people have called that show the first ever rock-and-roll concert. The Shell, as it has always been called, has been around since the 1930s and was once a wonderful outdoor music venue in midtown Memphis. It fell into disrepair for many years but has since been revitalized; the renovations were completed and the Shell reopened in 2008. Sitting alone on the grass in front of the stage that morning, I felt thankful that someone had seen to it that the Shell had been restored and was once again thriving. No tour of Memphis music would be complete without a visit to Stax Records. 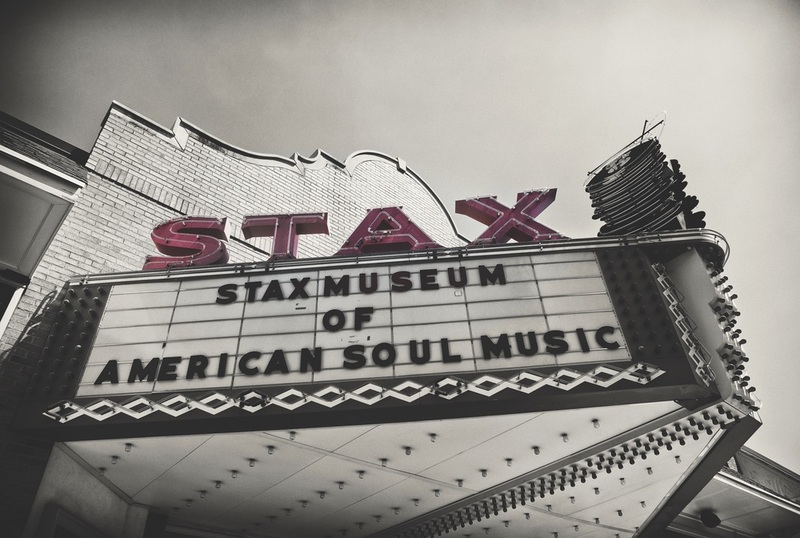 The actual studio site is now the Stax Museum of American Soul Music, but the music made there will live on forever. Most of my favorite Memphis music came from the Stax label; Booker T. and the MG’s, Isaac Hayes, the Staple Singers, Al Green, Otis Redding, Wilson Pickett, and so many more all recorded there and helped build the legacy that is Stax. The sound was unmistakable and the soul was unrivaled. It was such a powerful feeling standing next to the Stax building, imagining all the soul greats who came and went through those doors. After three days of reminiscing and photographing the old Memphis music scene, it was time for the Elvis Presley candlelight vigil. I have toured Graceland Mansion many times. As a child, I passed the house almost every day and it was not uncommon to see Elvis, Priscilla, and Lisa Marie Presley riding horses on the grounds. Graceland has always felt more like a neighbor’s house than the huge tourist attraction that it is today. But on this particular visit, I was being granted photographic access to every part of Graceland. I took the Graceland tour again for old time’s sake. I can’t help but be deeply moved every time I step foot on the grounds. When you walk through every part of Elvis Presley’s life and see the costumes, look at all the awards, and hear the wonderful music in the air, it is impossible not to be stirred by all that he accomplished musically in his life. 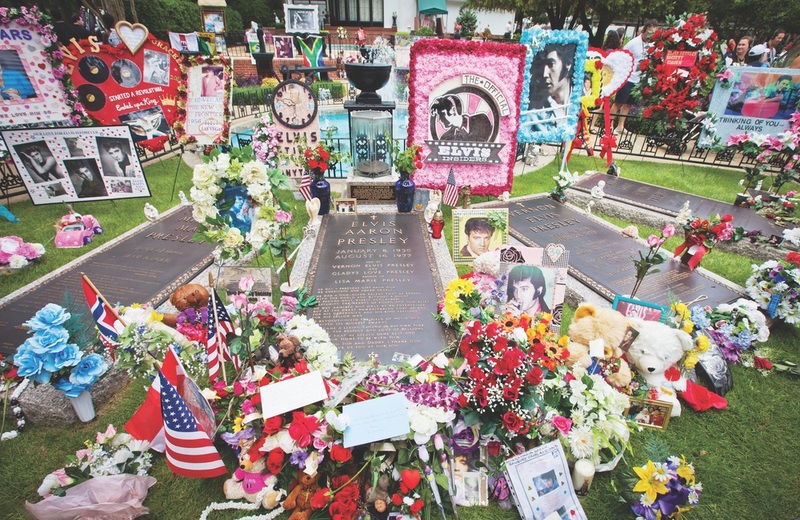 After my tour, I had time to walk up and down Elvis Presley Boulevard and photograph some of the amazing tributes that fans had built that day out of old photos, candles, teddy bears, and tons of other memorabilia. When it came time for the actual candlelight vigil, I was escorted to the Meditation Garden adjacent to the mansion, where Elvis and his parents, Vernon and Gladys, are buried, and his twin brother, Jesse, is memorialized. I was allowed to watch and photograph the ceremony and vigil from this vantage point. It was amazing to see how Elvis affected so many people’s lives and that these fans still feel compelled to make this pilgrimage after so many years. During the service, Elvis’s gospel music was played. My grandmother always loved those songs the best. Every time I hear them I remember her, and this time was no exception. The moment gave me chills and I wiped away more than a few tears. I was incredibly touched and thankful to have been able to capture some of the moments from the evening. I have to admit that in the past decade or so I haven’t been back home to Memphis very often. I was always looking for some place better to go, even as a child. On this trip, however, I felt like I had come home to an old friend. There are so many wonderful musical memories there. For the music lovers and those who admire the musical greats of the past, I encourage you to take this journey. You won’t regret it.